Selecting just four individuals, from a cast of hundreds, who best represent the university’s mission of excellence, faith, leadership and service isn’t unlike choosing the best flower in a flower patch. The select few make a remarkable bouquet, chosen from a colorful garden. 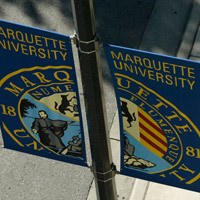 Marquette University’s Excellence in University Service Award Program recognizes individuals for their contributions to the essential work of Marquette at the highest level of excellence. 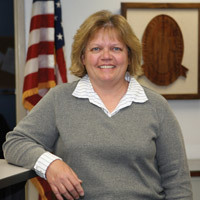 A common thread among recipients is meritorious service above and beyond the duties normally assigned to their positions. Four members of the Marquette community who exemplify the university’s mission will be honored at the award program on Tuesday, April 17, from 2:45 to 4:45 p.m. in the Monaghan Ballroom of the Alumni Memorial Union. Adler plays an integral role in maintaining systems relating to building security and troubleshooting potential problems at all hours of the day and night. She also has responsibilities involving payroll, personnel, purchasing, scheduling, and setting up e-mail and voice mail accounts. Gaeth performs a variety of tasks to ensure that the School of Dentistry runs smoothly, serving a critical support role for the school’s educational and service missions. 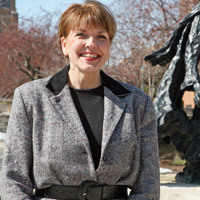 “I learned from the beginning that there is a way to plan events and then there is a way to plan ‘Marquette’ events,” said a nominator about Gottfreid, whose Marquette career has included service in Alumni Relations, Facilities Services, Marketing and Communication, and Special Events. Some of her recent projects include the Pére Marquette sculpture, graphics at the Al McGuire Center and the Stollenwerk walkway. “I learned how to be a good mentor from her and I now share that knowledge with new colleagues. 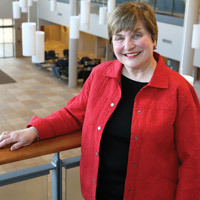 ‘Whatever it takes to get the job done and to make the alum, donor or friend happy and important’ is what she instilled in me and so many others here at Marquette,” the nominator said. 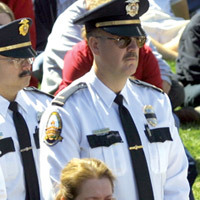 Although Jablonski passed away in fall 2006, his legacy on campus is evident in the Student Safety Program, the Avenues West Police Substation, the university’s Critical Incident Management and Business Continuity Plan, Public Safety’s Command Information Center and the department’s relationship with the Milwaukee Police Department.